Caterpillars are finishing their feast on milkweed plants across Wisconsin and preparing to shed their skin to change into monarch butterflies. Monarch butterflies are important pollinators collecting reading plant pollen as they collect nectar. While they feed on a wide variety of plants, monarch butterflies only lay their eggs on milkweed plants. This super generation of monarchs will spend their entire lives flying to their wintering home in Mexican state of Michoacan. Once there, they will lay their eggs and die. The offspring of this super generation overwinters in and begins their journey back the following spring. This first generation of the new year only migrates as far as Texas and the Gulf coast where they lay eggs that spend the next month developing into larvae, caterpillars and then butterflies. 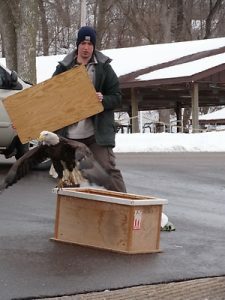 The second generation continues the migration to the summer home grounds where the third and fourth generations spend the warm months feeding and breeding. In late summer the fourth generation lays the eggs that will become the next southward bound super generation. Warm weather in September allowed monarchs to continue feeding in southern Wisconsin. This super generation is now making its way south. There are two distinct populations of monarch butterflies, those east of the rocky mountains that winter in the mountains of central Mexico and the western monarchs that winter coastal tree groves in California and spread out across to forage and lay their eggs throughout California, Arizona, Oregon, Washington. Urbanization and extensive use of pesticides by farmers have dramatically reduced the amount of milkweed plants that western monarchs need to lay their eggs. Our eastern monarchs, currently numbering some ten million, have been extensively studied for nearly forty years. Only recently have the western monarch butterflies received careful study. The results of that study, funded by the USFWS, are stunning. According to the study’s author, Washington State University researcher Cheryl Schultz, western monarch populations have plummeted from 10,000,000 forty years ago to approximately 300,000 today. This decline is so steep that the authors predict that western monarch butterflies have a 63% chance of extinction in the next twenty years and an 84% likelihood of extinction within the next 50 years. 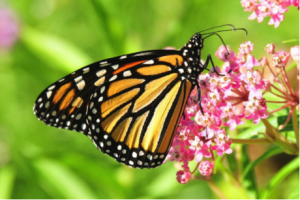 Want to be involved in helping monarch butterflies? Journey North is a citizen science project that tracks the movement of monarch butterflies and other species. Their projects provide scientist with valuable information about their movements. 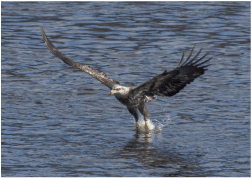 Check out this cool video taken at the Necedah Wildlife Refuge. The Necedah National Wildlife Refuge is a great place to see all sorts or wildlife; from cranes to butterflies … and really cute fox kits. 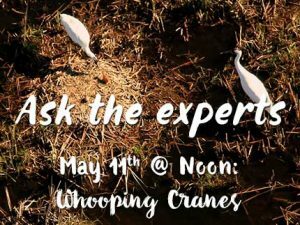 Learn more about whooping cranes and their long journey from the brink of extinction during a Wisconsin Department of Natural Resources “Ask the Experts” chat at noon tomorrow, May 11th. Spring migration is completing, the breeding season is underway and the Whooping Crane Eastern Partnership is busy hatching eggs and monitoring nests across Wisconsin. Efforts are proceeding to again have a group of chicks raised in captivity by adult whooping cranes. 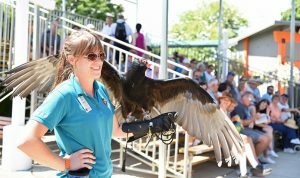 Conservation biologists also are optimistic they will get more wild-raised chicks to fledging age. 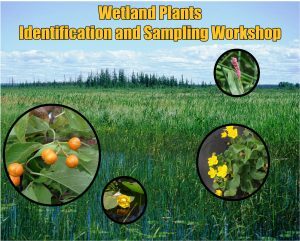 Contact Davin Lopez, DNR conservation biologist, 608-266-0837 for more information. Southwest Badger Resource Conservation & Development Council is presenting a series of talks help landowners in Southwestern Wisconsin attract more bees, butterflies, humming birds and other pollinators to their property. Pollinators and upland wildlife are vital to our economy, food sources and recreational opportunities and their decline is a serious problem. The lack of native prairie plants is contributing to a loss of both pollinators and upland bird species. The good news is it doesn’t matter if you own hundreds of acres or a small yard, you can help encourage pollinators like bees, butterflies and humming birds. 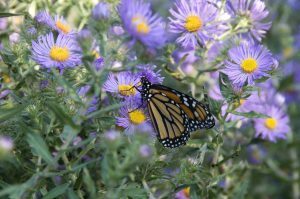 This session will teach you about pollinator biology, the link between wildlife and healthy populations of pollinators, prairie establishment and choosing the best seed mix to fit your needs. 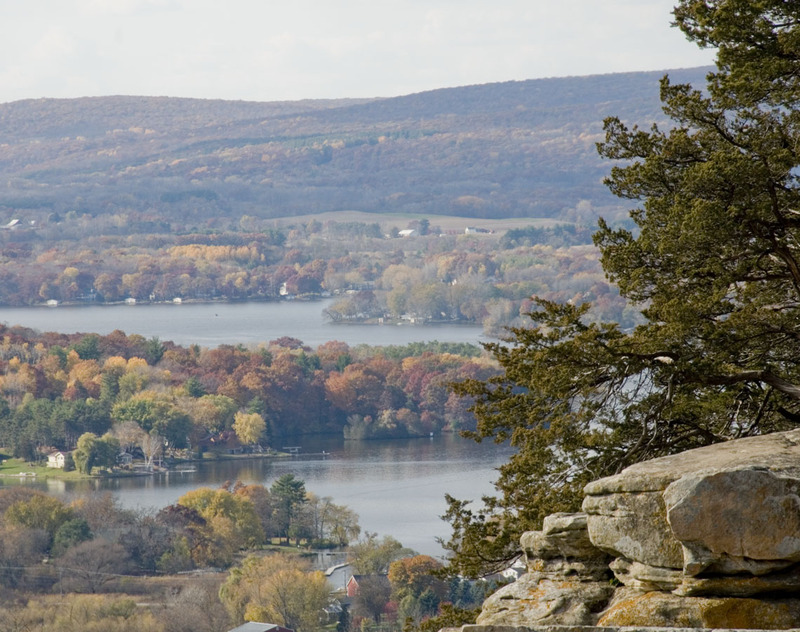 Don’t miss out on this one of a kind opportunity to improve your land for future generations! 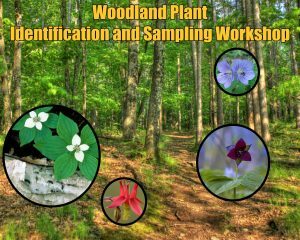 There will be four opportunities landowners to receive expert guidance on pollinator biology and establishing the plants necessary to their survival. The schedule of events is as follows: Friday February 24th from 6-8pm in La Crosse, Tuesday March 7th from 6:30-8:30pm in Baraboo, Wednesday March 8th from 6:00-8:00pm in Richland Center, and Thursday March 9th from 6:00-8:00pm in Prairie du Chien. 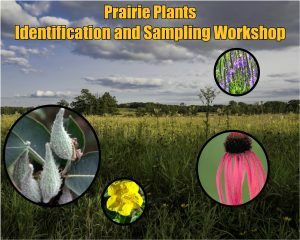 A registration fee of $12 includes a pollinator information packet and prairie seed pack. 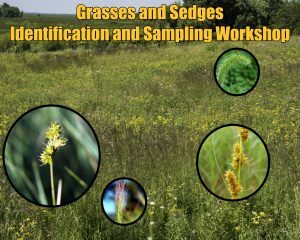 To receive more information or reserve your spot contact Brandon Bleuer at Brandon.bleuer@swbadger.org or (309) 738-2607. The DNR is seeking input to the Greater Prairie Chicken Management Plan. This plan is revised every ten years. 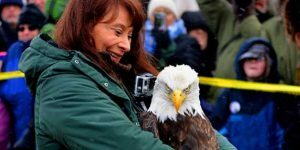 Let your voice be heard by contacting Mark Witecha, Upland Wildlife Ecologist, 608-267-7861; Lesa Kardash, Wildlife Biologist, 715-421-7813. A public meeting Feb. 22 at the Fine Arts Center in the McMillan Memorial Library, 490 East Grand Ave., Wisconsin Rapids from 5-7 p.m. will give attendees an opportunity to receive information regarding the plan revision process, current prairie-chicken population, draft conceptual alternatives and share feedback with DNR staff.